I love my morning ritual of sitting down at my computer with a steaming mug of fresh black coffee in hand. I’m not sure if the caffeine has any real effect on me at this stage in the game; it is the habit that I’m addicted to—that bit of me time before I’m forced to acknowledge the rest of the world around me. As my day continues I typically have a couple more coffees here and there, normally when I’m racing to arrive at my next destination or hitting an afternoon slump. From my experience, many people around the world share the same caffeine habits as I. We love our daily brew, but drinking coffee is not always (or often) a social activity. Instead, we gulp it for a jolt of caffeine to get us through the day or to kick-start our sluggish bodies into action. We refill our coffee mugs to get up and stretch our legs, or for a break when we’re tired of sitting at our desks. It’s all very individualistic. It was only when we recently arrived in Stockholm and I discovered the delightful Swedish tradition of fika that I remembered just how social a coffee break can—and perhaps should—be. Fika (pronounced “fee-ka”) is an integral part of Swedish culture. The most literal translation in English is “coffee break,” but this doesn’t quite do the term justice. During fika, Swedes take a break from their day to sit down with family, friends or co-workers and enjoy a coffee or tea, along with some small treat such as a cinnamon bun, marzipan pie, or sweet cake. Though at its basic definition, the noun fika refers to the act of drinking coffee and eating snacks, in reality, there is a much deeper meaning to the term. Fika is not about what you’re consuming so much as about the quality time you are spending with other people in the process. Fika isn’t just an afternoon break—it’s an important and productive part of a Swede’s day that contributes to their overall wellbeing. Many people fika at coffee shops or cafes, but it can also take place over coffee and snacks in a person’s home. 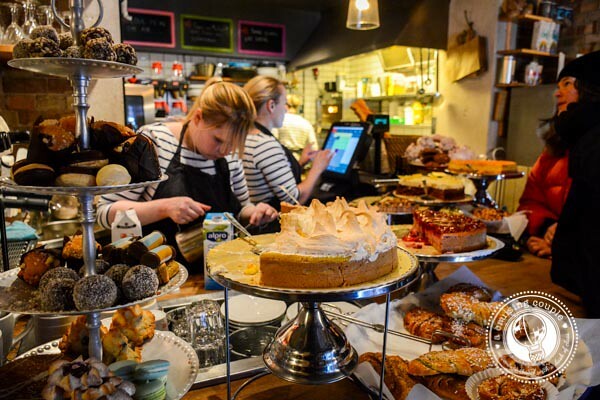 Having a fika is an experience that’s not to be missed on any visit to Sweden. This is especially true in the enchanting capital city of Stockholm, where trendy and creative cafes dot every corner. Along the cobblestone paths of Gamla Stan (or the old quarters) you’ll find touristy but pleasant coffee shops. 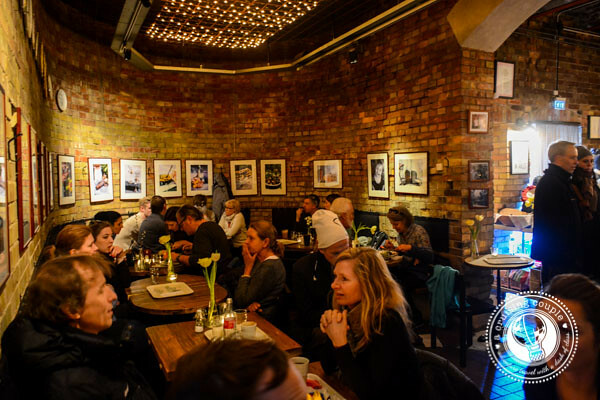 Södermalm is the bohemian and artistic corner of the city, one of the best places to settle in with a coffee and people watch. östermalm is the chic and trendy section of the city, the place to see and be seen. This traditional coffee shop is known for its fantastic Swedish cakes and pastries; the elegant 18th century building is always packed with locals having a fika. When you’re not engaged in conversation over a cup of coffee, take time to notice the antique furnishings and oil paintings that adorn the café and contribute to its cozy, nostalgic air. It’s hard to miss this old-fashioned, castle-like building in a quiet section of Djurgården. While a bit pricy, the food here is divine and actually quite extensive. If coming for a fika, we recommend sticking to one of the mouthwatering pastries. Arrive early at this popular café to grab a seat on the pleasant veranda that fills up quite quickly. During the cooler months, blankets are on hand to cozy up with. 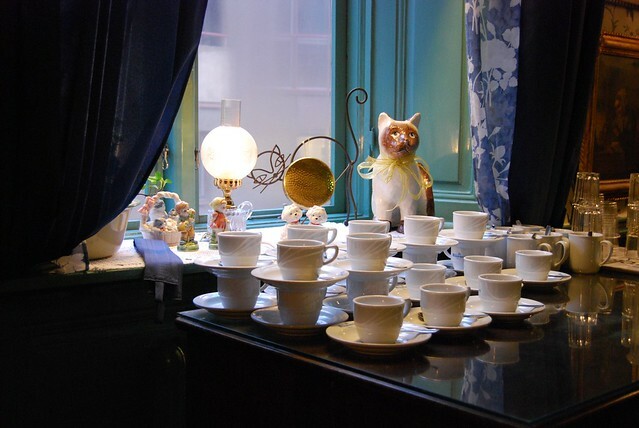 This kitschy café is as adorable as can be, with antique chairs, draping curtains, doilies and the occasional porcelain cat adornment. A fika here will make you think you’ve finally arrived at your long-lost Swedish grandmother’s home. Don’t miss the cinnamon buns—they are claimed to be some of the best in all of Stockholm. This modern-day coffee shop is all the rage with savvy Swedes, largely because it is home to Sweden’s current Barista Cup national champion. 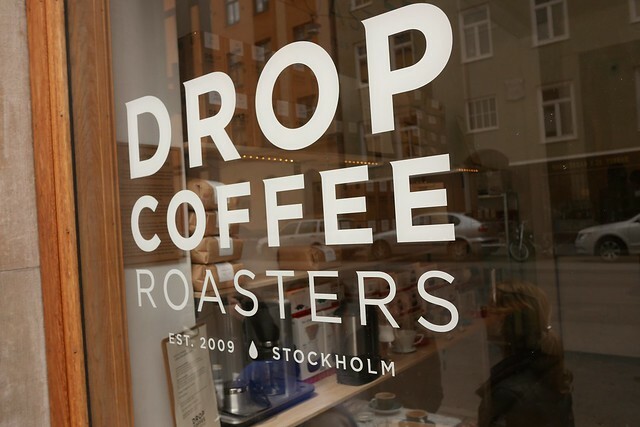 Drop Coffee does their own roasting, and offers a range of organic and fair-trade brews. If you’re looking for a particularly good quality coffee to accompany your fika, this is the place for you. Don’t forget that the most important part of a fika is to engage in quality social time. Grab your travel partner or make a new friend, but try to leave the technology and smart devices tucked away. You won’t regret it!